March Insurance Tip of the Month for Brevard NC and call 811 BEFORE YOU DIG! It is almost planting time and the ground is beginning to thaw. Many of us will be digging in our yards. I just discovered a new number to help with digging. It is the new national “Call Before You Dig” phone number (811) designated by the Federal Communications Commission. This number was developed to eliminate the confusion of multiple “Call Before You Dig” numbers because it’s easy to use, remember and it’s the same for every state. It is important to call 811 before digging so that professional excavators and do-it-yourself homeowners are aware of any underground lines buried in the area. This information can help protect people who dig from injury, expense and penalties. Damages to underground lines can disrupt service to an entire neighborhood, harm diggers and cost diggers fine and repair costs. I (Jay Kaiser) personally have been guilty of not calling before I was putting in fence posts on the weekend, and using the tractor with the hole digger, I cut my power totally in half underground that fed power to my house. Huge puff of smoke erupted from the ground and I was fortunate I did not electrocute myself. I was not real happy about paying the power company weekend rates to repair the power line wither. Were was 811 when I needed it? What Happens After Calling 811? Similar to the current “Call Before You Dig” numbers, all 811 calls will be routed to a local One Call Center and the affected utilities. The utility will then send crews to the location to mark any underground lines for free. For more information about the 811 call system, visit http://www.call811.com. To download the most current industry Best Practices in connection with preventing damage to underground facilities, go to http://commongroundalliance.com. This week is also Severe Weather Awareness week. Governor Bev Perdue in conjunction with the National Weather Service and Department of Crime Control and Public Safety have declared the week of February 27th through March 5Th as Severe Weather Awareness week for 2011. All week long the National Weather Service will be issuing informative messages to help you prepare for severe weather. You may also go directly to this site for more information: http://www.stormready.noaa.gov/awareness.htm. The Insider's Guide To Asheville North Carolina By Southern Way of Life. This is Blog Ten of Ten From Their Article. Number 1: on the list of things to do in Asheville this year is spend some time at the new Pack Square Park in the heart of downtown Asheville. That will be easy to do since the Jackson Building overlooks the park. The park was begun in 1901, when Asheville philanthropist George W. Pack donated the land to Buncombe County allowing a new courthouse to be built. Pack’s donation required the county to dedicate the historic square as a public park forever. The site was renamed Pack Square in 1903. Pack Square Conservancy, a non-profit organization established in 2000, was charged with designing and building a 6.5-acre park on the site. Although the project took twice as long – and cost twice as much as expected, it was completed and opened to the public in 2010. It is a great place for visitors to relax, linger and enjoy the fantastic architecture that surrounds the park. In addition to the Roger McGuire Green in front of City Hall and the Country Building, the new park has a large, open green space on a slope overlooking a main stage, three water features and original large-scale art by regional artists. There are many seating areas surrounded by native trees and shrubs. A granite Veterans Memorial stands near the courthouse at the northeast corner of the park. Many restaurants and shops encircle the park and street performers line the sidewalks. The park is only minutes from all of the popular attractions Asheville has to offer, including the Grove Park Inn, Biltmore Village and the Biltmore Estate. If you enjoy festivals and concerts, Pack Square Park provides a wonderful venue for new events, as well as Shindig On The Green on Saturday nights from July to September, the Bele Chere Festival each July, plus the Fourth of July celebration and countless other events held on the site. There you have it. An insider’s guide of what to see and do in the great little city of Asheville, N.C. For more information on any of these landmarks or events here in Asheville, send your inquiries to info@southeastdiscovery.com. The following is one of ten articles that I am privileged to repost from the Southern Way of Living Blog on Asheville NC, retirement and second home. I felt they represented our area so well that sharing this information with you will assist you in your decisions for that primary residence, second home, as well as helping choose the area of Western North Carolina. Living in Brevard NC just minutes from Asheville make as neighbors offering much of the same qualities of life one desires in looking for that perfect move. I want to persoanlly thank Tamas Hoffman On behalf of SoutheastDiscovery for the permission to allow the repost of the information on my site just for you and their photo’s! This article is from http://www.southeastdiscovery.com/southern-way-of-life’>Southern Way of Life</a>, the official blog of Southeast Discovery. The Insider's Guide To Asheville North Carolina By Southern Way of Life. This is Blog Nine of Ten From Their Article. 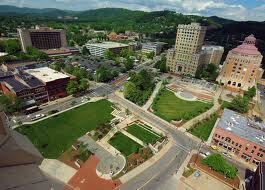 Number 2: keeps us in downtown Asheville and very close to all of the new condominium and residential projects. In a city of great buildings – including one of the largest collections of art deco designs (City Hall, for example) for a city its size in the nation – my favorite is the Jackson Building, at 22 S. Pack Square. Once again, this is an insider tip. 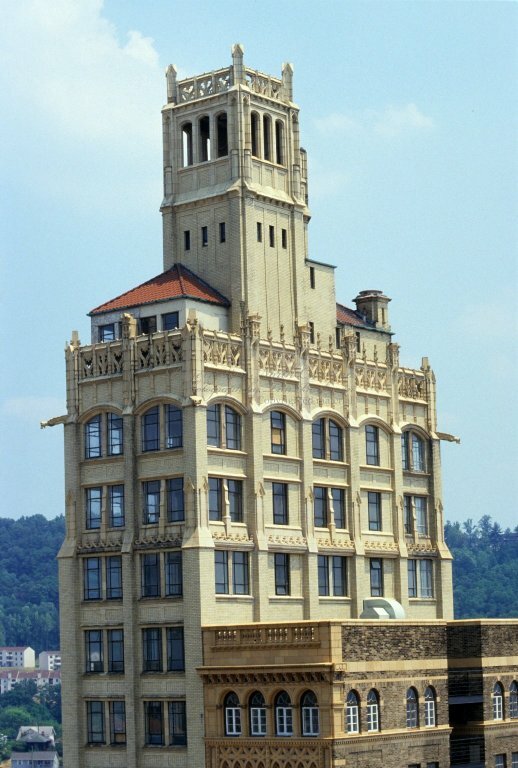 The building is not advertised as a must-see when coming to Asheville, yet with its Neo-Gothic design, it is the most recognizable building in the downtown area. The sleek, slender design and multitude windows give it a delicate, almost fragile look. 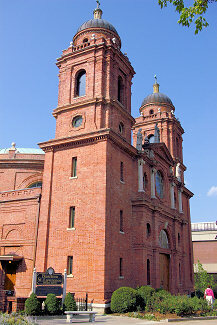 The building is the city’s first skyscraper, and stands 140 feet, or 15 stories high. An interesting anecdote about the building is that it stands on the site of the tombstone business run by author Thomas Wolfe’s father. I promise you will love this building. The Insider's Guide To Asheville North Carolina By Southern Way of Life. This is Blog Seven of Ten From Their Article. Brevard, NC — February 23, 2011. Local photographer John D. Adams of PhoenixPhotography will be the featured artist for the month of March at Main Street Ltd., 147 East Main Street, Brevard, NC 28712. A reception to meet the artist will be held on site on Friday, March 4 2011 from 5 pm – 7 pm. The public is encouraged to attend. Mr. Adams’ show, titled “In An Instant”, features canvas and framed prints of outdoor photography. “The challenge and thrill of making outdoor photographs is that each second is critical. The moment will never come again. The light will never hit a surface at exactly the same angle. The wind will blow a leaf in a different direction. A wisp of cloud will flit across the sun. The fun for me is trying to capture one of these moments in a way that honors and commemorates that split-second.” Attached please find more information on the artist’s biography and a description of the upcoming show. Famed photographer Edward Steichen once remarked: “Every other artist begins [with] a blank canvas, a piece of paper…the photographer begins with the finished product.” But here’s the trick. That “finished product” is a moving target. Nothing we see in the natural world is ever static. Light, wind, temperature, climate, gravity…these forces make everything fluid and ever-changing. The challenge and thrill of making outdoor photographs is that each second is critical. The moment will never come again. The light will never hit a surface at exactly the same angle. The wind will blow a leaf in a different direction. A wisp of cloud will flit across the sun. You get it. The fun for me is trying to capture one of these moments in a way that honors and commemorates that split-second. I hope these pictures inspire you to take a closer look at the natural wonders and fleeting beauty that surround us. The Insider's Guide To Asheville North Carolina By Southern Way of Life. This is Blog Six of Ten From Their Article. The Insider's Guide To Asheville North Carolina By Southern Way of Life. This is Blog Five of Ten From Their Article.